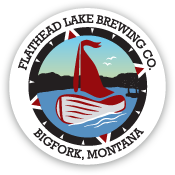 The North Shore Book Club is returning to the Flathead Lake Brewing Co. Pubhouse! This group is open to the public and meets once a month in the Barrel Room from 6 to 7pm. For more details contact the Pubhouse at 406-837-2004. The 2018 reading list is: January 23rd “Still Alice” by Lisa Genova February 27th “Big Little Lies” by Liane Moriarty March 27th “4321” by Paul Auster April 24th “Little Fires Everywhere” by Celeste Ng If you need help finding any of these books, contact Imagine IF Libraries and they’ll be happy to assist you! When: Tuesday, January 2nd, 2018 Time: 3 to 6pm Where: 15300 MT HWY 25, Woods Bay, MT 59911 We’re having a Garage Sale! After 13 years in Woods Bay, a lot of stuff has piled up around the taproom. Come sort through our inventory, including tables, chairs, desks, kitchen equipment, and more! Coats for Kids has been working to keep the children of Northwest Montana warm by purchasing brand new coats, boots, hats, and gloves for over 30 years. For more information, call 406-752-1522. On December 19th, FLBC is proud to support Coats for Kids. From 5 to 8 pm, $1.00 of every pint sold and $0.50 from soda will be donated to this non-profit organization in our community. We will also be collecting new coats, boots, and snowpants for kids. Join us in supporting our community and learn about this awesome organization! Paint and Drink: Mountain Ornaments!